Kelis'' milkshake about to go sour. Kelis Rogers entered a plea on April 11, 2019 of not guilty to 20 counts of contempt. This court case is related a child custody situation between her and NAS. 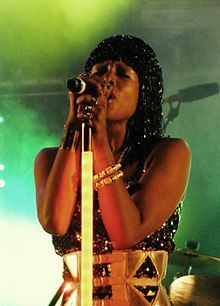 Nas is a world famous rapper and entertainer and, Kelis is known as a singer ,actress and entertainer herself. According to the Blast ,Back in January, Nas filed court documents in his never-ending custody and support battle with the �Milkshake� singer over their 9-year-old son, Knight. Nas wanted Kelis to be found in contempt and claimed she has violated their custody agreement 17 times since January 2018.